Many people nowadays feel confused about what PwBD means! This term ‘PwBD’ appears in a number of government documents including job advertisements, exam notifications and results etc. We all know that PwD means Person with Disability. Let me tell you that PwBD simply means Person with Benchmark Disability. Now, what is this ‘Benchmark’ thing? Well, a person with disability would be considered to have benchmark disability if she has at least 40% disability as per the certificate issued by a government authority. For more information on benchmark disability, click here. By writing PwBD, the government is trying to eliminate confusion among disabled candidates. 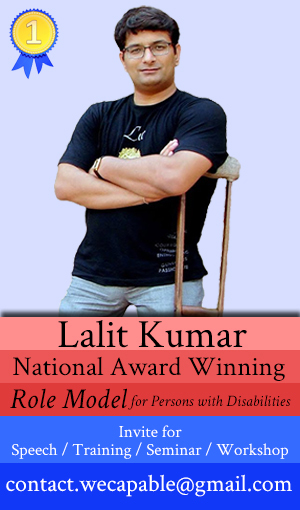 The term PWD is all encompassing and thus every disabled person would become a candidate. But PwBD automatically exclude those who have less than 40% disability. To be considered as benchmark the disability must also be included in the list of disabilities in RPWD Act 2016. If you have any questions, please feel free to ask in the comments section given below. What is the Meaning of Benchmark Disability? What is the Meaning of Locomotor Disability?